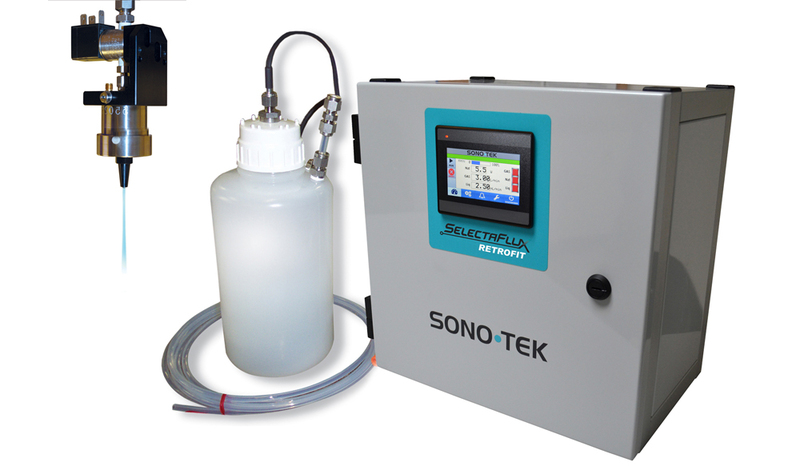 Sono-Tek is one of the originators of ultrasonic selective spray fluxing for PCBs, with extensive expertise applying highly uniform thin films of flux to targeted areas with little overspray and no clogging. Our 30 years of expertise in precision spray fluxing enabled us to develop the SelectaFlux Inline spray system for high volume flip chip fluxing applications. 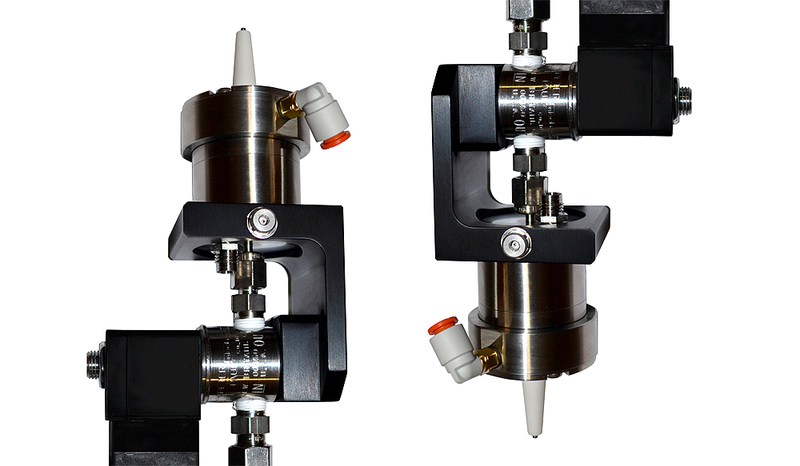 Ultrasonic spray provides a precise, repeatable, controllable spray solution for spraying flux onto contact pads. The ability to spray very thin, uniform layers of flux prevents excessive flux residue, which can contribute to poor underfill, resulting in unreliable product. Having tight control of flux thickness also prevents die float, avoiding downtime and poor die connections. Minimal overspray prevents flux from contacting passive devices. Other methods such as jetting, dip fluxing, and pressure nozzle spray cannot apply thin targeted layers of flux. High throughput is achieved with automated XYZ motion and conveyor capability. Multiple nozzle configurations are possible to speed the spray process further. FlexiCoat is a proven production tool in manufacturing lines worldwide. Highly controllable spray avoids rework costs from overspray. Ability to control flux thickness, with coatings as thin as 20 microns. 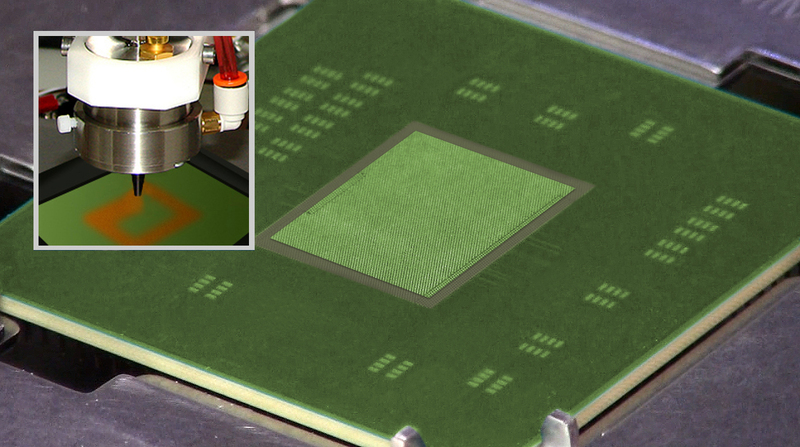 Uniform flux layer eliminates die float which can result in scrapping of the die and substrate. FlexiCoat coating system can receive JEDEC handling trays consisting of multiple substrate configurations. Non-clogging ultrasonic spray requires minimal cleaning and provides high repeatability, as spray performance is not compromised from gradual clogging experienced with pressure nozzles. Proven compatible with Indium fluxes. 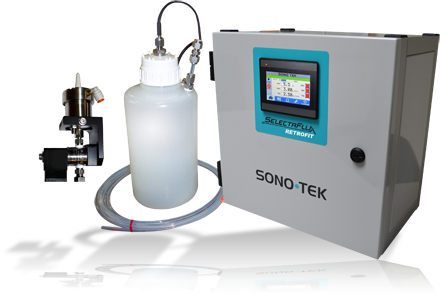 The premier refiner, producer, and supplier of indium and indium compounds recommends Sono-Tek fluxing systems for use with its products.